Some stamping? Don't mind if I do! 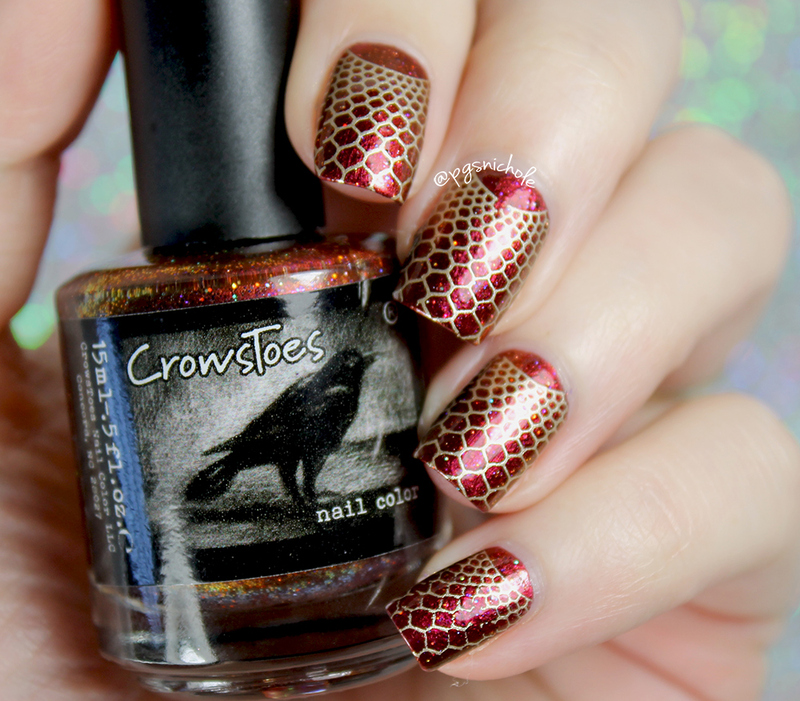 I love this bright CrowsToes shade, and it pairs so well with the metallic gold that the pair looks like they were meant to be. Now if only I could master that stamping! 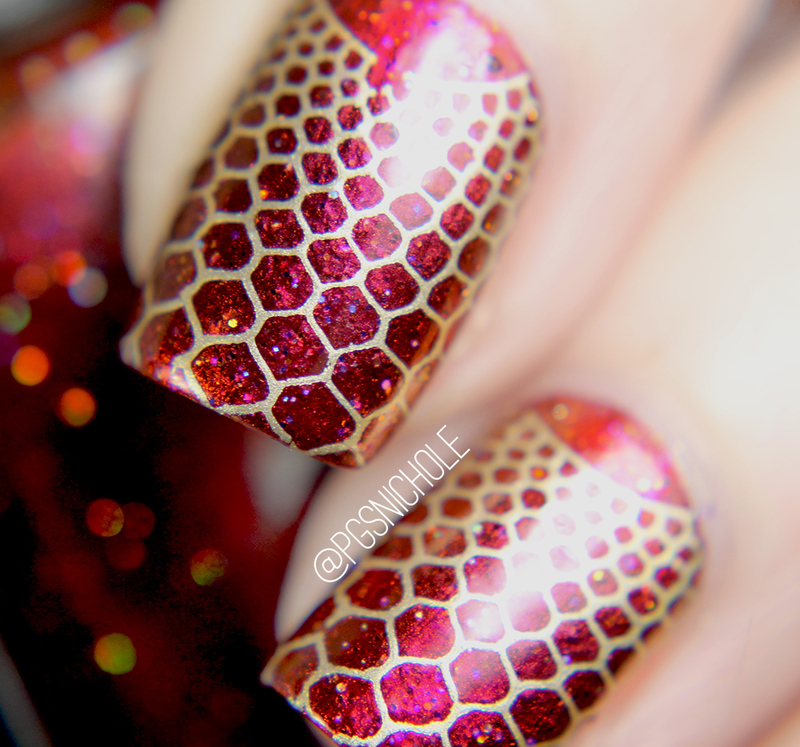 If not for that one little hiccup on my middle finger, this would have been flawless. 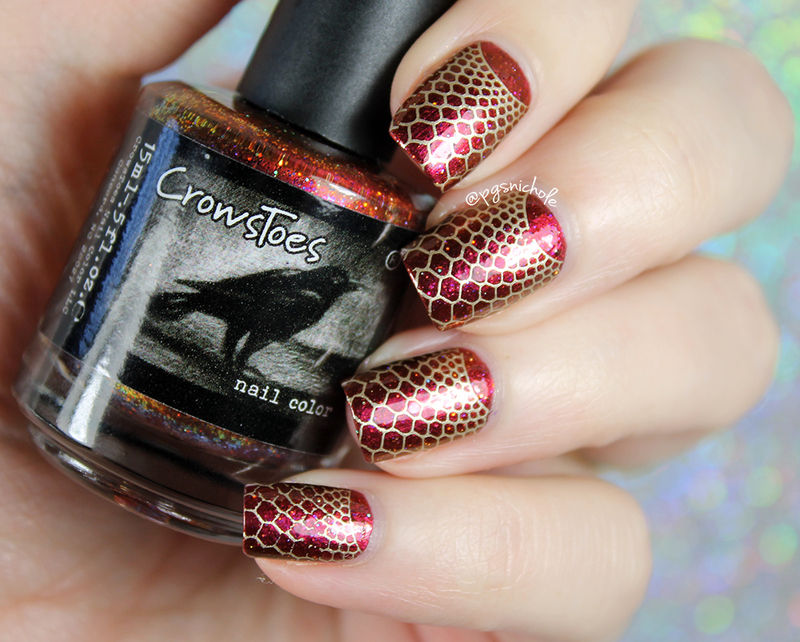 I love the stamping plate, and I actually centered the image fairly well on my nail. I just wish I could find a good clear stamper so I can see better. Do you have a favorite clear? Let me know in the comments so I can check it out. mmmmm that's a delicious shift. 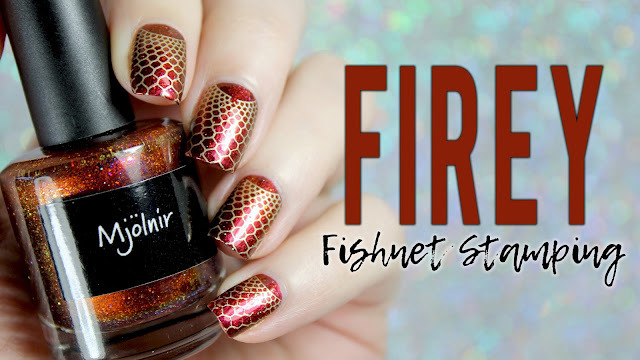 Perfect stamping, imo! 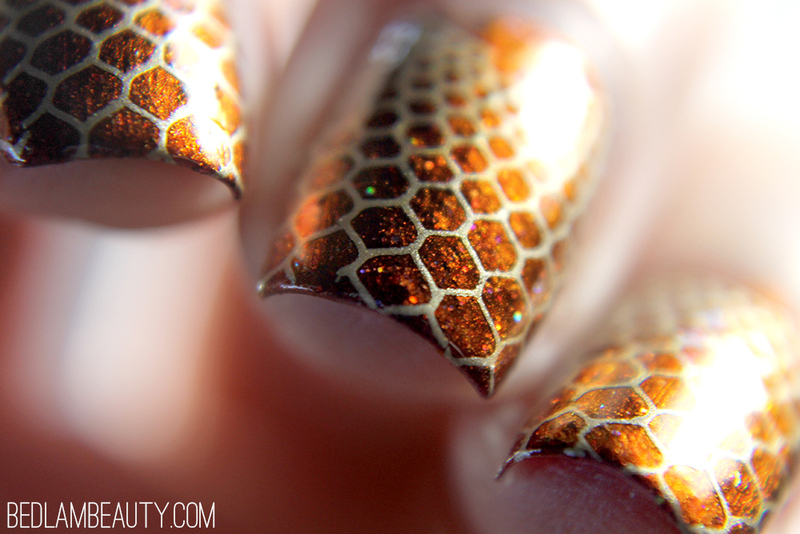 That little blip is only visible to you - to me it's just a gorgeous stamping manicure. I love this! It's so warm and fall-ish! Gorgeous! 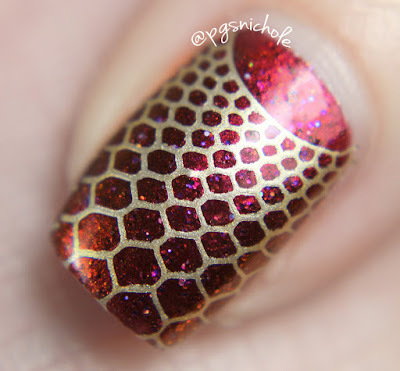 I have the clear stamper from Born Pretty and I really like it. Perfect and intricate stamping, with a beautiful colour combination! I didn't even notice your hiccup on the middle finger! Ooooh Mjolnir. That is lovely! Dang! Everything about this is amazing! This is fabulous! I love this image! I need to check out Powder Perfect stamping plates! I absolutely love your fishnet stamping. It's flawless!